It was a question I asked award-winning columnist of The Australian, author, snake lover and bagpipes player, James Jeffrey (Photo above The Australian), a decade or so ago. The answer, of course, is “Gorp,” the sound of a fart in the bath. James liked it and we have been exchanging bon mots ever since. He did mention that the excellent actor, Benedict Cumberbatch, said his surname sounded like “a fart in the bath,” but it has too many syllables. James replied: “May Gorp be with you,” and we have used it and many variations ever since. But this is not a piece about Gorps. 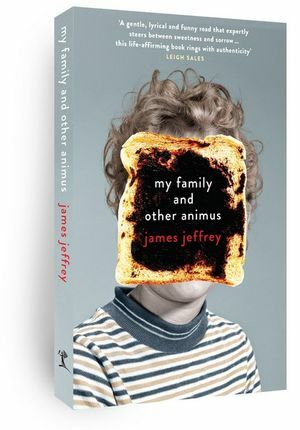 It’s a belated review of James’s magnificent memoir, My Family and Other Animus, which was published four months ago. Better late than never. It’s a book mainly about a family of animated spirits, especially his mother, Eszter, a feisty Hungarian dedicated to smoking and several marriages. In his preface, James mentions a list of suggestions that will make for a better life and a happy family. My favourite and his: Make sure the kids see the love flow between their parents. His family arrived in Australia on a ship from England in 1976, when James was four, with his mother and his siblings and his British father, Ian, heading for a coal-mining job in a country town a few hours up the road from Sydney. His mum found the town so boring, she waged a successful campaign to move the family back to the Big Smoke and the Sutherland Shire. James Jeffrey loves his family, but journalism is also in his blood. 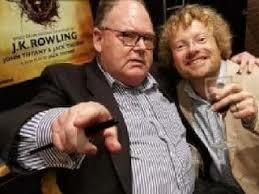 Aside from his much-read and much-loved daily Strewth! column in The Australian, where I first “Gorped” with James, he writes the parliamentary Sketch, inherited from the late, great Matt Price, whose pieces in the Oz were priceless for their humour and insight. James also captures the joy and mayhem of Federal parliament in his Sketch, occasionally saying outrageous things about outrageous politicians. That chapter, and the ones piecing together the columns about the dementia and death of James’s father and his mother are worth the price of admission to this brilliant book. If you’re a sentimental old journo like me, you might shed a few tears, but that’s good for the soul. I teared up after reading that. The next paragraph is James’s turn: “That was the hardest column I had yet written. When I finished typing it, I stared at the last seven words for a very long time. As it turned out, we didn’t have long at all and I was soon writing the most bittersweet of follow-ups.” The next column on his Dad is certainly bittersweet and worth reading, but I’ll leave it to you. Let’s end this review on a slightly less lugubrious last chapter: “Apres mum le deluge.” After selling her house on Gumtree, the online classified site, James’s Mum decided to move house again a few months later. It was only three minutes from Coles and she told James she was happy. Then she had a heart attack in the morning and a second one later that afternoon, and was flown by helicopter to Newcastle for surgery in a larger hospital 380 kilometres to the south. The entire family gathered around her as she spent 18 days battling as her life ebbed away. Finally the respirator was switched off, and she was gone. The funeral was a celebration of his Mum’s life with a little ghetto-blaster in the back of the hearse taking the coffin to the cemetery switching from a “sad, yearning voice and a keening violin” to Fur Elise, “a trusty bit of Beethoven Mum had always loved playing on her piano.” Near the end, the celebrant asked the family and friends: “If anyone would like to share a memory of Eszter, please do.” Cue the thunderclap. So loud it felt like it had pounded the mourners’ eardrums deep into their skulls. James, Thank Gorp for such a wonderful read. My Family and Other Animus, James Jeffrey, Melbourne University Press, 185 pages.